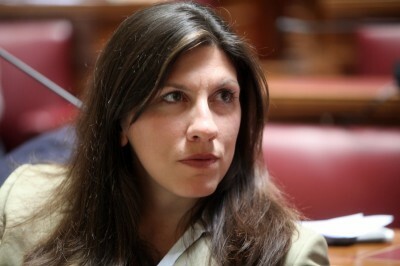 The speech delivered early in the morning of July 11 by Zoe Konstantopoulou, president of the Greek parliament, on the question of the government’s proposal to the creditor institutions. The artificial and deliberate creation of conditions of humanitarian disaster so as to keep the people and the government in conditions of suffocation and under the threat of a chaotic bankruptcy constitutes a direct violation of all international human rights protection treaties, including the Charter of the United Nations, the European treaties, and even the statutes of the International Criminal Court. Blackmail is not legal. And those who create conditions that eliminate freedom of the will may not speak of “options.” The lenders are blackmailing the government. They are acting fraudulently, since they have known since 2010 that this debt is unsustainable. They are acting consciously, since their statements anticipate the need for humanitarian aid in Greece. Humanitarian assistance for what? For an unexpected and inadvertent natural disaster? Is it an unpredictable earthquake, flooding, a fire? I shall undertake my binding responsibility to history by stating “present,” as a “presence” in today’s debate and vote. I believe that in this way I make myself more useful to the people, to the Government and to the prime minister, to future generations and to the European societies, by recording the actual conditions under which the Greek parliament has been asked to make decisions. And by rejecting blackmail, by invoking Article 1-1-4 of Article 120 of the Constitution.